The Building Automation System (BAS) core functionality is to keep building climate within a specified range, light rooms based on an occupancy schedule, monitor performance and device failures in all systems and provide malfunction alarms. Automation systems reduce building energy and maintenance costs compared to a non-controlled building. Typically they are financed through energy and insurance savings and other savings associated with pre-emptive maintenance and quick detection of issues. 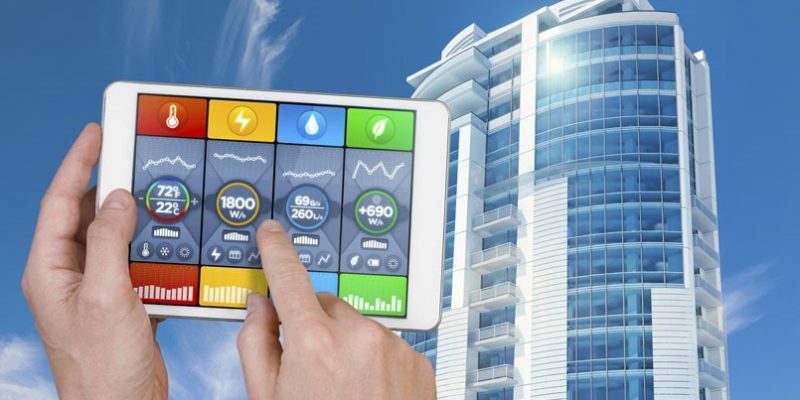 How building automation is changing the way we live? The term Digital Transformation is the latest warning that another paradigm shift is around the corner. Computers, which used to simply improve operations and efficiency are now understanding and managing systems. In the Building management, the digital transformation shift is taking facilities from simply scalable operations to interconnected, responsive ones. Systems that once simply expanded to handle facility growth now step up to help building management achieve capital, operational and process goals. Building Automation Systems (BAS) are transforming machines that get the job done to intelligent tools that step up and help facility management get its job done well. Data scientists have taught us that even small businesses can process huge amounts of everyday data and obtain the insights hidden there. Building Automation Systems now go beyond working with large numbers of thermostats, flow sensors and air handling units as a switchboard. The BAS gathers large volumes of building data, learns about HVAC behavior and adjusts the systems accordingly to meet management targets. Buildings around the world can now manage resource use to meet net zero requirements. Renewable energy sources such as PV (photovoltaic) panels help meet that goal along with new design strategies and building materials but the Building Automation System is the heart of a real-world net zero application. Gathering extensive building sensor data, airflow to occupancy and worker mobility. Learning about, predicting building use and energy consumption patterns. Understanding local weather patterns and forecasts. Manufacturing process parameters such as air quality, humidity and chilled or heated water flow. Knowing the priority of energy needs throughout the building. Micro-processor controlled wiring system for lighting control and energy management. It allows building managers and integrators to configure an area as required such as automatically switching lights off or adjusting light intensity in accord with natural light levels. Control multiple devices and integrate with 3rd party systems to achieve a customized solution. With C-Bus/KNX control you can achieve an environment of comfort, convenience, security and energy efficiency. The Internet of Things or IoT is not a new concept for those who work on industrial control systems. It’s not that different from using PLCs (programmable logic controllers) for localized process data gathering and control. IoT is bringing a revolution to energy management and other facility operations with flexibility wireless networking and simple installation. BAS energy usage data can guide energy sourcing to follow time-based pricing schedules and implement complex energy-based strategies. HVAC system operation can be tuned for best resource usage and management can easily see where consumption and efficiency issues need to be addressed. Building automation will change the way that we live in our everyday environments once technology gets involved. Whether it is keeping the cooling costs down or determining the best climate for work to be done, how our buildings feel and work impacts our daily lives. Building Automation Systems are bringing change by owning building energy performance. The detail-oriented BAS goes beyond meeting personnel and industrial airflow and temperature needs it observes day-to-day operation makes local and zone adjustments and manages equipment to reduce unnecessary energy use. Building automation manufacturers pride themselves on making the environments that are inhabited on a daily basis not only comfortable for occupants, but also are green friendly. BAS systems help by impacting the way that businesses operate internally, and that can help them meet their mission statements. » Importance of industrial training for Engineering graduates « How battery storage would change the way we think about energy?